Athens agrees that the South Stream project can be re-launched and supports this idea as it would help provide energy security for the European Union, Greek Ambassador to Russia Danai-Magdalini Koumanakou has said. "If Mr. Usackas feels that it can be done who am I to say anything but to agree with both of them. It has been the main thrust that all pipelines designed in order to serve diversification and security are more than welcome in Greek territory," she said in an interview with Interfax. 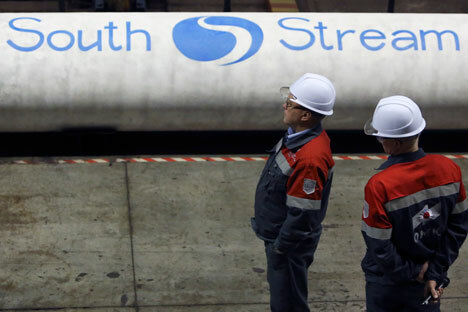 Greece actively supports the idea of South Stream "in schemes that would exactly ensure either interconnection or the creation of new pipelines in the region," she said. "In general we support the idea of the South Stream project," Koumanakou said. Furthermore, Athens sees as efficient the Poseidon project to transport Russian natural gas across the bottom of the Black Sea to Europe via third countries, she said. "I think that the Poseidon tranche is a good project that could provide gas to the south of Italy. I believe this project can be really effective for the southern part of the EU," the Greek ambassador said.